Wide range of parts, 3–14 poles, with and without 360° shielding. Compatible mating acc. to IEC 61076-2-106 and IEC 60130-9. 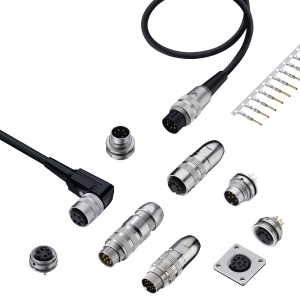 Easy mounting with solder or crimp technology. Protection degrees IP40 and IP68. Many types for 4G/5G mobile radio networks acc. to AISG C485, SWUM™ versions even sealed when unmated. 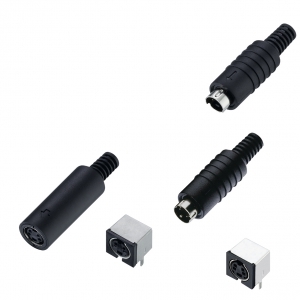 For signal and load currents up to 5 A.
Circular power connectors with Quicklock mechanism, 2–12 poles, three design sizes. Protection degree IP67. 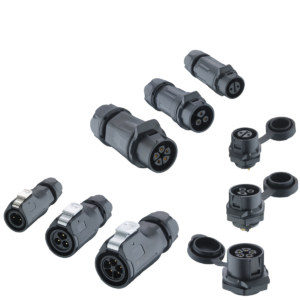 For signal and load currents up to 20 A.
Connectors according to DIN 45321, mating compatible to IEC 61076-2-106 and IEC 60130-9. 3-8 poles. 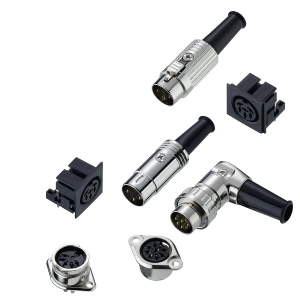 For signal and load currents up to 4 A.
Miniature circular connectors (also referred to as Mini DIN). For signal and low loard currents up to 1 A. Power supply connectors e.g. according to DIN 45323 and JEITA RC-5320A. 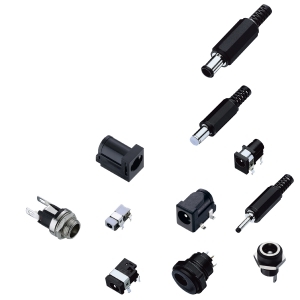 Wide range of parts, 1.7-7.0 mm diameter. For low load currents up to 3 A at 34 V DC, individual types up to 10 A.